Earn 113 loyalty points when you order this item. The award winning Ecosse NuDiva draws on the strengths of the Conductor, but upps the 'anti' to ensure an even greater degree of transparency, detail and three-dimensionality. NuDiva redefines sub-£150 interconnects and may well be the very best interconnect in the world around this price. 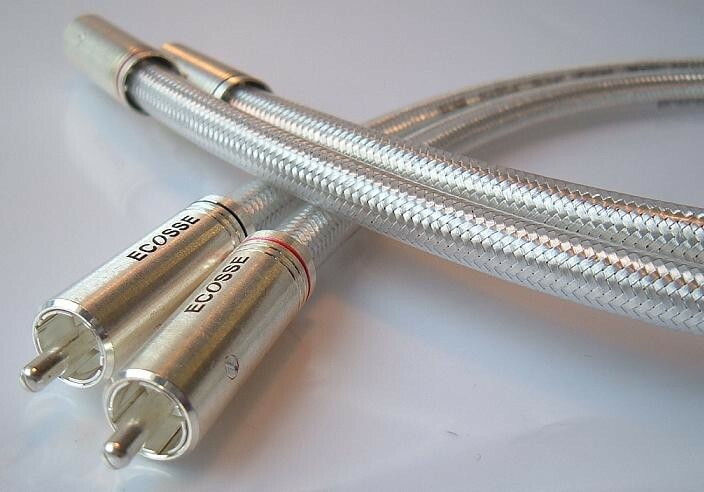 Ecosse have used silver plated Ultra Hi Purity-OFC™ 'going' and 'return' conductors, with their multi award-winning twisted pair topology rope-lay construction, air-foamed polyethylene dielectric and a dual screen consisting of a conductive polymer tube surrounded by a close-lapped silver plated braid. In general terms what you can expect from silver is a very relaxed sound, with much atmosphere and spatial detail. The treble in particular should be at the very least very good, but more probably excellent in both detail and extension. 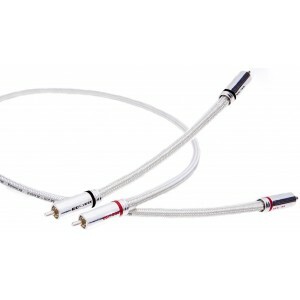 In addition, modulation effects due to microphony are all but eliminated by cotton fibre filler and the soft PVC outer jacket- and then, to ensure an extremely uniform, refined and dense microstructure with vastly improved mechanical properties, the cable is then deep- cryogenically treated (DCT). 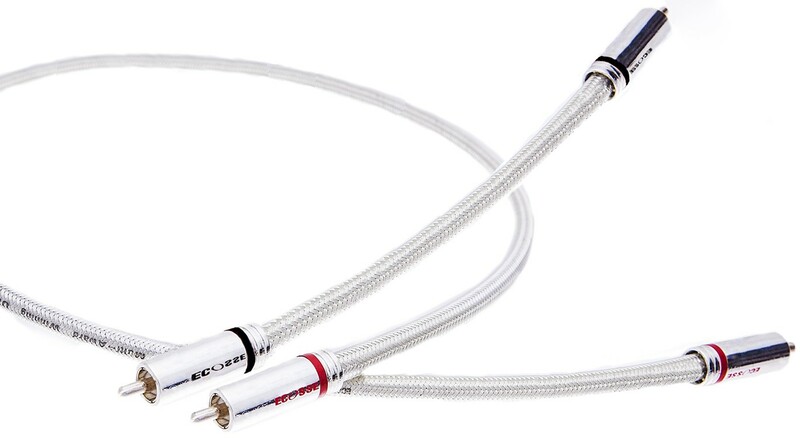 NuDiva comes pre-terminated with " MACH1" silver-plated all-Cu RCA plugs with Supersolder™ terminations. NuDiva exhibits vanishingly low noise and while eminently suitable for all line-level equipment, its low noise performance makes it positively shine between turntable and phono stage.